If you have a hard time keeping up with the housework and messy chaos, then take some time to read a few clever home organization hacks. As the holidays are coming up quickly, family will be arriving and make it harder for you to keep things organized and clean. 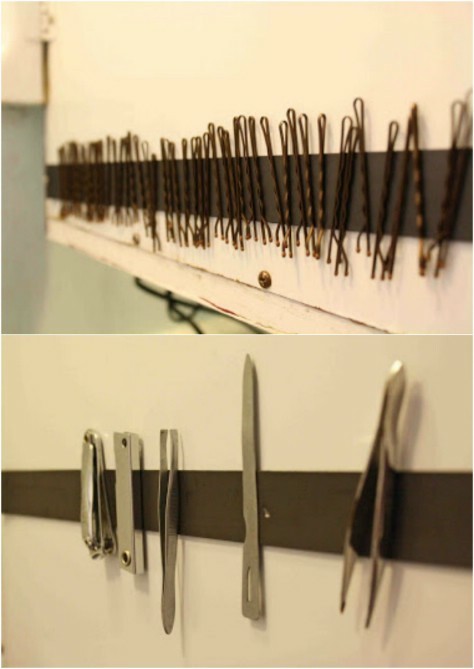 I have found some brilliant organization hacks to make life less complicated. 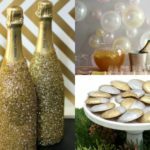 No matter the size of your living space, these ideas can be incorporated into any space, big or small. Check out the following examples so you can begin to organize your home. 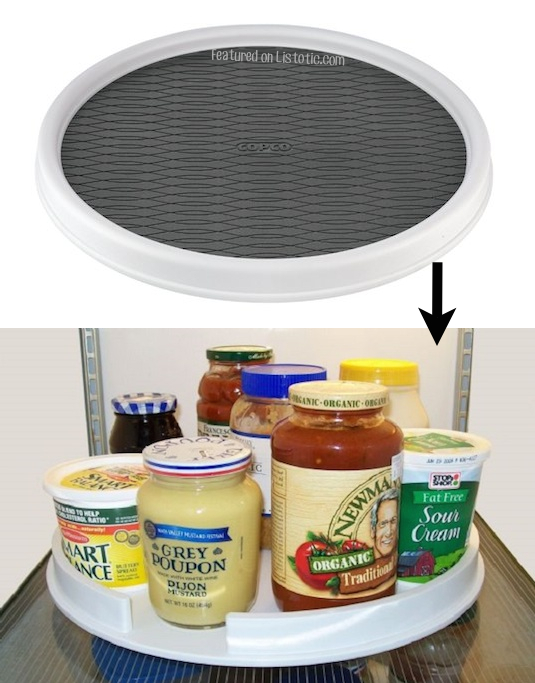 A lazy susan is a great way to organize your fridge products. 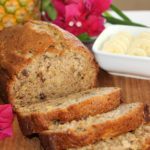 It can keep items from getting lost in the back of the fridge. 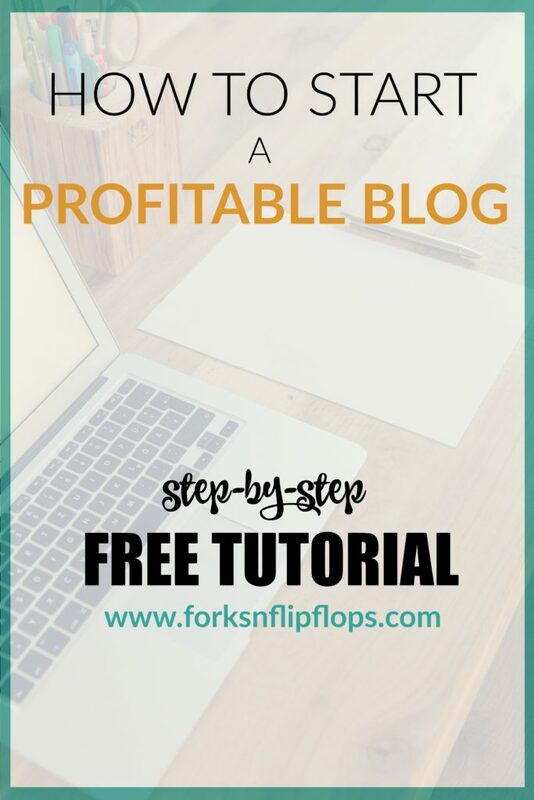 It is also easy find what you need with just a spin of the base. Do you have limited vanity space? 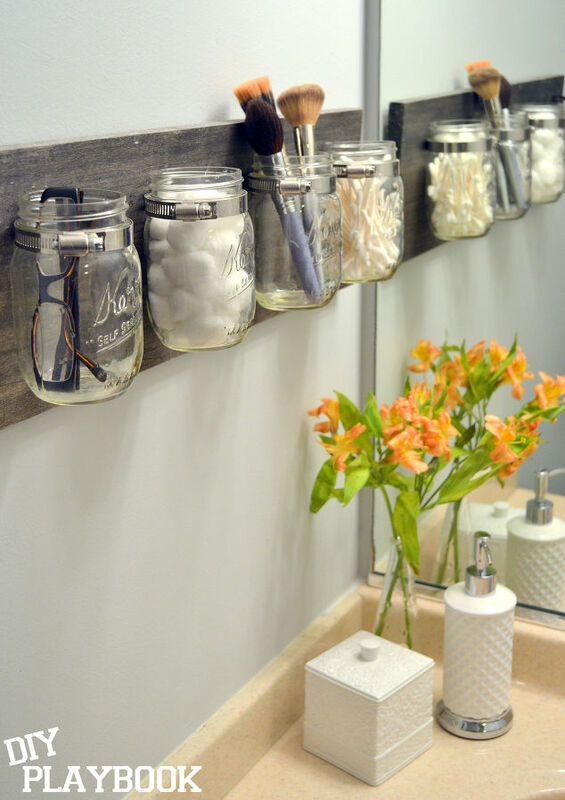 These mason jars can be mounted in your bathroom to hold needed items without taking up precious counter space. Females have a lot of “stuff” and we need a place to store it all! 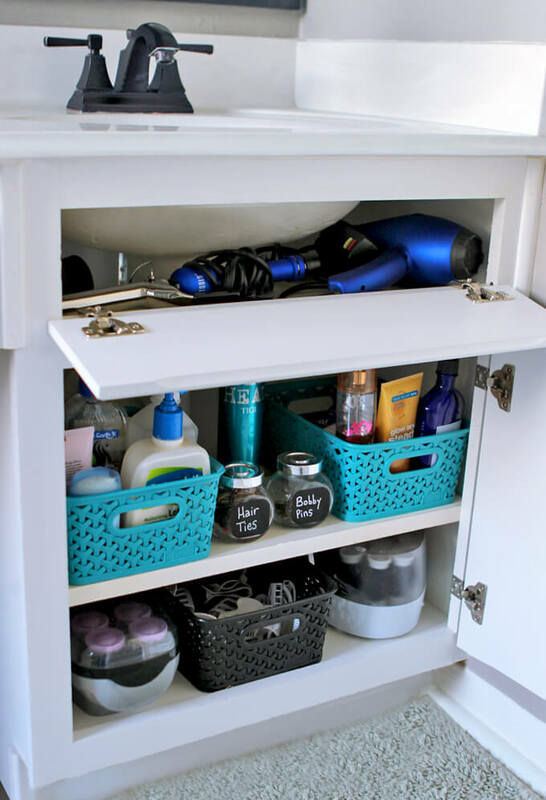 This DIY shelf storage can be incorporated into most bathroom vanities. 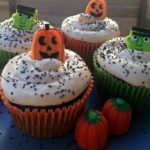 You can pick up a couple baskets and make the most of this ingenious idea! 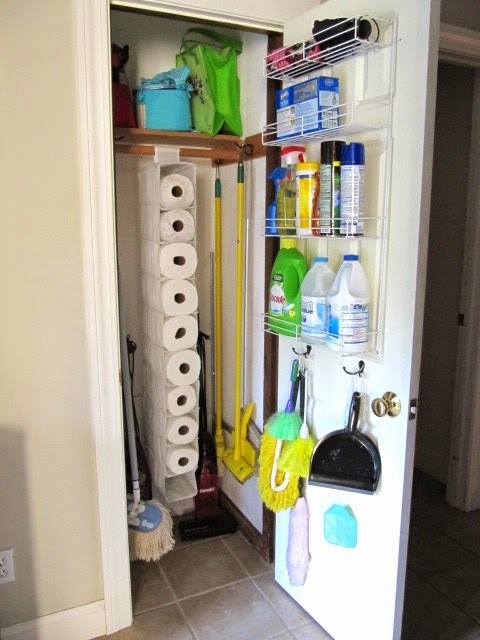 This is another great way to declutter your broom closet and organize your cleaning supplies. The hanging shoe organizer is perfect for storing paper towels or toilet paper. 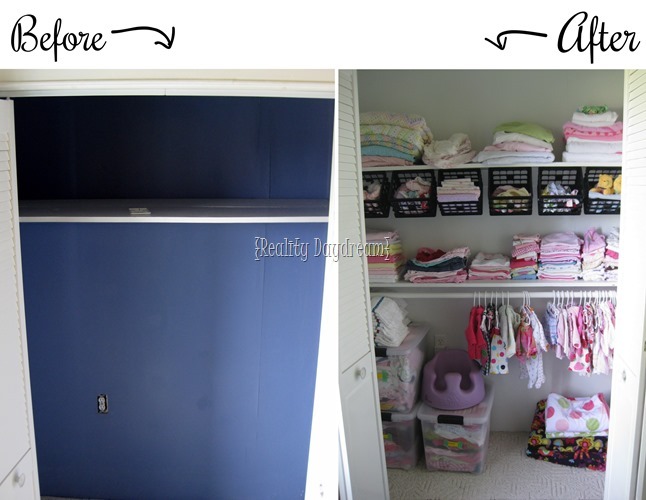 Products can also be placed in the mounted shelves on the door to take advantage of the entire closet. 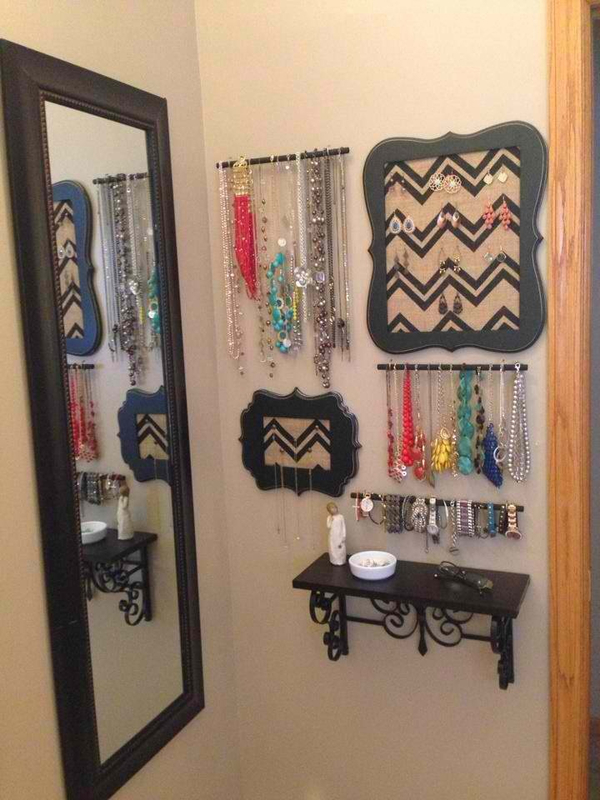 This is a practical and cute way to showcase your favorite jewelry. It not only keeps your accessories neatly organized, it is really easy to take on as a DIY project using old frames and fabric. 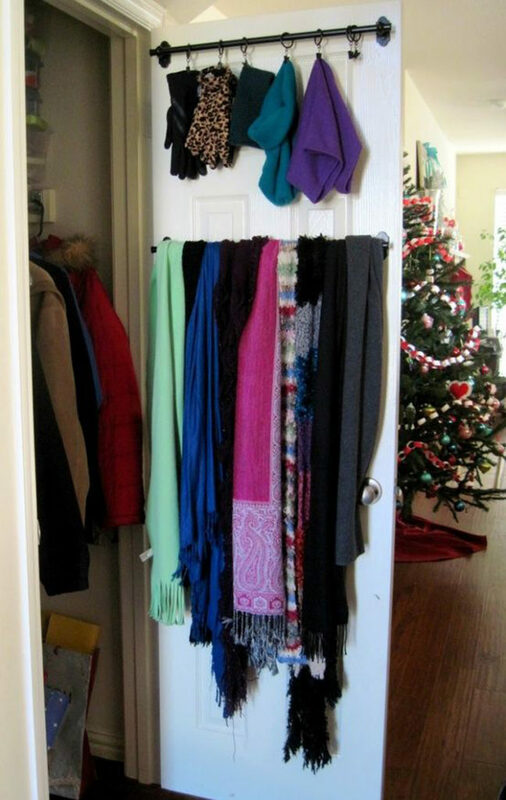 This is a brilliant idea for organizing your scarves and gloves during the cold months. I love how easy it is to do yourself, by mounting two rods to the inside of your closet door and adding a few ring clips. 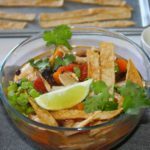 Magnetic strips are not just for holding up kitchen knives anymore. This smart hack can be used in your bathroom to hold onto anything made with metal or even makeup with magnets attached. Little boys and their Nerf guns. Need I say more? 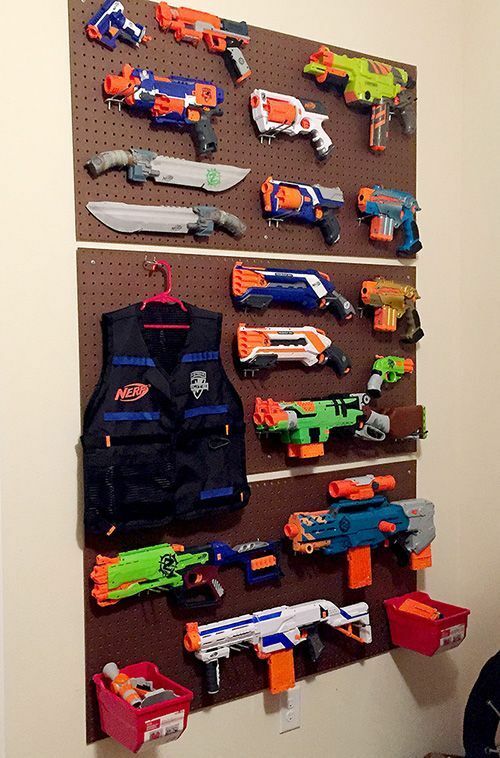 This DIY nerf gun wall will keep those toys off the floor and out of the way. It also looks pretty cool too!! I love opening up my office drawer and seeing all my little items together in their right places. This organizer does that job perfectly. 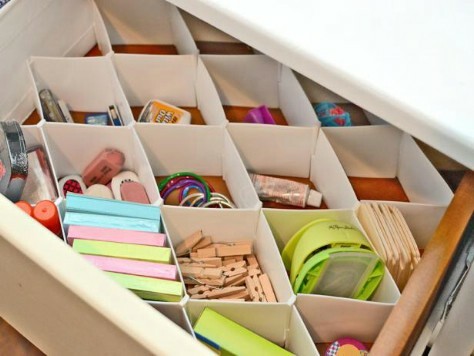 These closet bins are another great way to keep your child’s clothing or accessories organized. 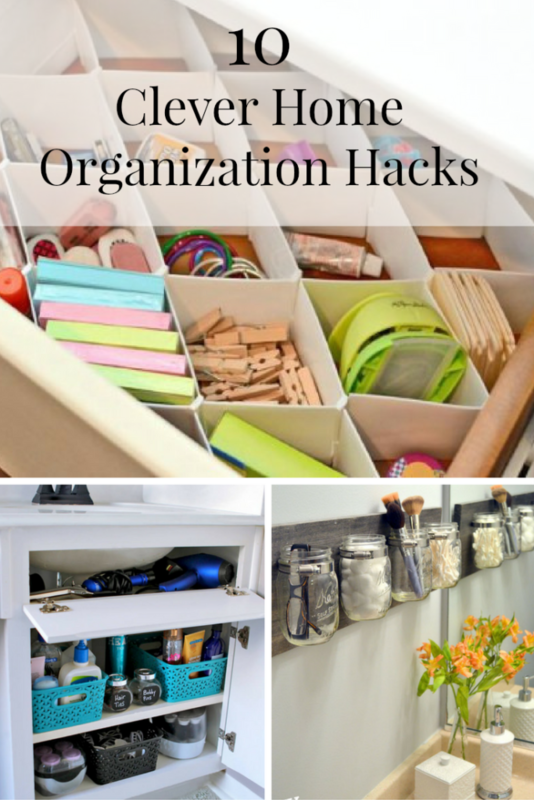 Let me know if you have any questions or comments about organization hacks!